Meri Jaan Lyrics from Baccha Shoshur. This Romantic song is sung by Anupam Roy. 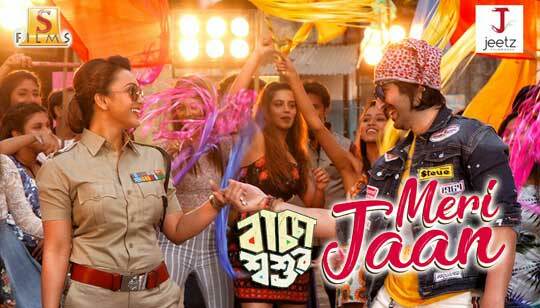 Starring: Jeet And Koushani Mukherjee. O Meri Jaan Song Lyrics In Bengali written by And Music composed by Maharshi Dutta. Music Arrangement, Keyboard And Backing Vocals by Nabarun Bose. Mix And Mastering by Shomi Chatterjee. Bachcha Soshur Bengali Others Cast Is Chiranjeet Chakraborty, Aman Mehra And Ambarish. Story, Screenplay & Dialogues by Pavel. ও মেরি জান । ..